The prime minister asserted that all available technology, including space technology, should be used for improving governance. 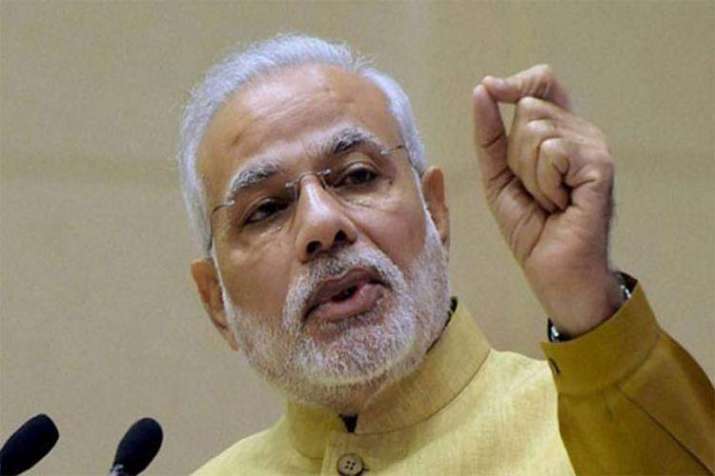 Prime Minister Narendra Modi on Saturday expressed concern over procedural delays in processing files and asked bureaucrats to make the best of technology to bring change in the common man's life. Participatory democracy is a must for the development of the nation, he said at an event here. "According to Hindu mythology, one attains 'moksha' (salvation) after the 'char-dham yatra'... But in the government, a file doesn't get 'moksha' even after 32 such journeys," he said, making a reference to administrative delays in the decision making process. He said it is important for civil servants to keep pace with the emerging technologies worldwide. Modi described civil servants as people with great capability, and said these capabilities could contribute to benefit the nation in a big way. The prime minister was addressing participants at the conclusion of the two-day Civil Services Day function here. He said it was an occasion for appreciation, evaluation and introspection. "It is a day to introspect about the objectives of public welfare we have achieved. What all changes have been brought in the lives of people and what more can be done," the prime minister said. Modi said the administration's aim in the pre-independence era was to keep the Englishman safe, but today it has to ensure that a common man is provided relief. He stressed the need for strategic thinking in implementing government policies, and asked bureaucrats to put to use innovation and technology which can become additional strength. Modi said "Janbhagidari" (people's participation) is a cornerstone of the success of a country such as India. The prime minister said priority should be given to people's interests during formulation of policies or new laws. Earlier, he released two books -- "New Pathways", a compilation of success stories related to implementation of identified Priority Programmes and Innovations and "Aspirational Districts: Unlocking Potentials" -- an account of strategies for transforming aspirational districts. He also conferred "Awards for Excellence in Public Administration" for effective implementation of identified priority programs and innovation to districts and implementing units, and other central and state organisations at the function. The awards have been instituted to acknowledge, recognise and reward the exemplary work for people's welfare by districts and organisations of the central and state governments. "Motivation is always essential for better performance," the prime minister said after giving away the awards to civil servants. He said the year 2022, the seventy-fifth anniversary of Independence, could be an inspiration for working towards achieving the India the freedom fighters dreamed of.